3. Divide the mixture between the paper cake cases. Bake in the middle of the oven for 25mins or until golden, risen and the middle bounces back when lightly pressed. Leave to cool in the tin for 5mins before transferring to a wire rack to cool completely. Un-iced these muffins freeze well. Once cold pack them into a freezer proof container or bag and freeze for up to 3 months. Thaw at room temperature for about 1 hour, then ice as instructed. These look yum! 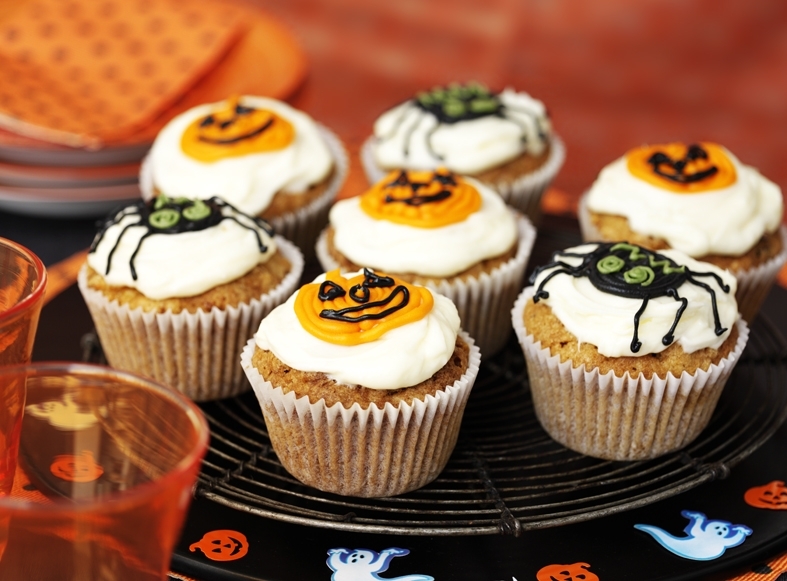 We’ve recently mad pumpkin muffins but I think we ought to try these too! Thank you for linking this to #DreamTeam!